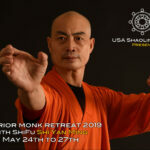 In 1992, Shifu Shi Yan Ming came to America in order to bring the ancient traditions of the Shaolin Temple into the 21st century and beyond. 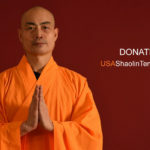 His dream of building a new Shaolin Temple for the entire world is quickly solidifying into reality. 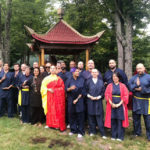 On September 3rd, 2010, Shifu Shi Yan Ming received the deed to 80.88 acres of land in Middletown, Delaware County, New York, that will become the permanent home of Chan Philosophy or Shaolin martial arts in the United States. 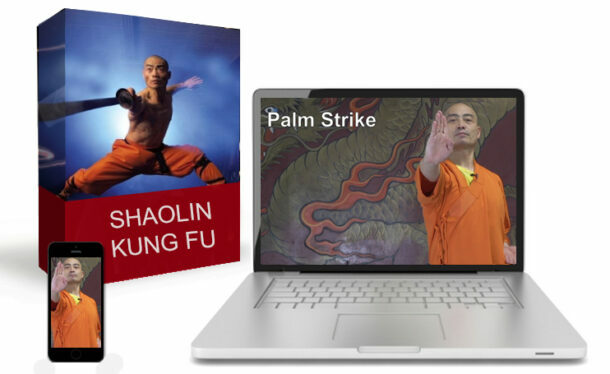 After the signing in nearby Margaretville, Shifu and 15 of his disciples and students headed over to the temple for a champagne toast and celebration. They began the immense task of cleaning and preparing the temple for use. Most of them had not seen the land before and excitedly explored the area. When the group returned to New York City, it was time for movie night at the Temple on Broadway. 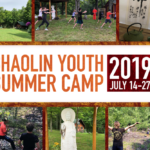 Before the movie, Shifu announced the wonderful news to those in attendance, and showed them the land survey with the large words on the bottom: Mei Guo Shaolin Si! 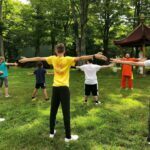 On Sunday, September 12th, 2010 at 2 PM, the USA Shaolin Temple will host the blessing ceremony for the land, as well as its annual disciple ceremony, at the New Temple. It is the first time that the temple’s disciple ceremony will be open to the public. All are invited to share in this momentous event. If you would like to attend, you must RSVP to the temple by Friday, September 10th, by contacting the temple at (212) 358-7876.